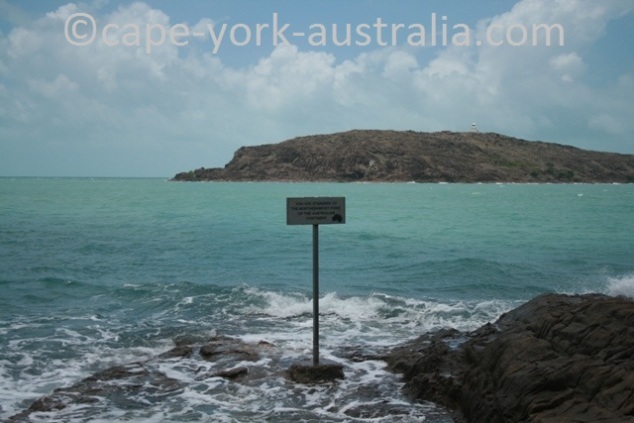 On this page you have some more Cape York resources, and NEW - now, also - advertising and services. This comprehensive 300 pages travel guide is all you need before and during your trip. 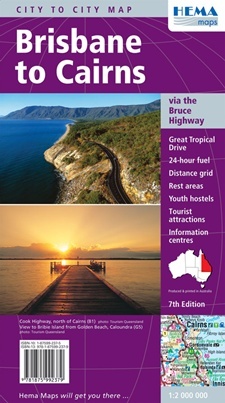 It has information on the peninsula's history and wildlife, climate, dangerous things and other things you should know (fuel, banking, quarantine, Aboriginal land entry permits and alcohol restrictions..); detailed information on places to see and things to do as well as accommodation and FREE camping spots that will save you the money you paid for this book in no time ;-). And here is some more Cape York resources - the map that covers the whole Cape York peninsula. This is the map that I use on my trips and it is excellent. 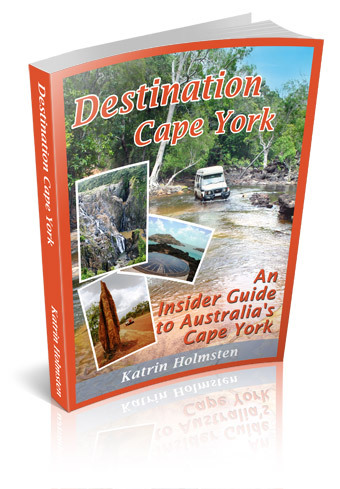 Here is a page with a few different maps of Cape York and the areas around it. 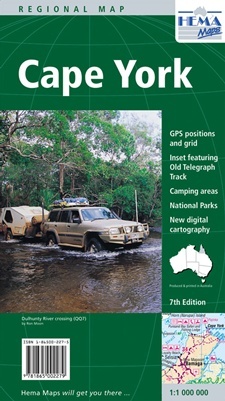 Click on the link above and you will be taken to a selection of maps of north Queensland. North Queensland is a beautiful area covered in Wet Tropics rainforests and there is just so much to see and do.. In case you do have the time, it's worth having a look around while you are up here. There may be only one more thing you need, and that is good area maps. HEMA maps are the best ones in Australia and the ones that I use myself. They are the most comprehensive and detailed maps that you find. 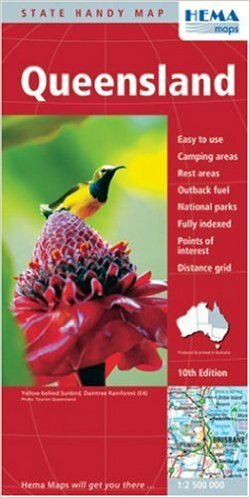 Click above for a variety of different Queensland maps that may be of help if you are driving to Cape York through Queensland - whether you come from south or west. 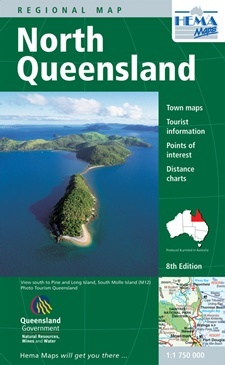 And here is a map that covers the whole state of Queensland. And here are some photos that I have taken myself. If you want to use any of them please contact me. I most likely give you the permission but I want to know about it when it's used somewhere. Itinerary planning is time consuming work. And even itinerary checking is, if you want the answer to have any accuracy and reliability. I understand and appreciate that people like to send in their itineraries for me to check, some people also ask me to make one. However, I am struggling to make my time to allow me to do it for FREE, since it is time consuming work and I am busy running a business. I usually try to help to the point where I even end up doing it while on the tracks. I am usually very generous with answering people's questions (particularly if they have been willing to support my small business by buying the Destination Guide), and I spend considerable time, particularly during the Wet Season (which is the planning season for people - so the busy season for me), to answer people's emails, even though I have plenty of other things to do with my time (website and books need updating and improving, website needs maintenance, I am also juggling the FREE newsletters in between, and there is always more books to write and more tracks to do - so there is no shortage of what I could do with my time if I didn't answer the questions). It might seem an easy task and people often say, can you have a quick look. Well by a quick look I am not going to be able to give you a good answer, I might even give you an answer that is misleading or not correct at all. It is usually better not to have such answer, and I don't want to be giving wrong answers, so - itinerary checking is a time consuming job, almost as time consuming as making one. There is a lot to consider - the time of the year, the likely conditions of the roads at the time, your gear, equipment and experience - so whether you make it from A to B in a certain time, say a day, is not as easy as working it out for travelling on sealed roads. Itinerary planning is even more time consuming since on top of the above I also have to consider your and your family's interests, how long you would like to stop in places and how quikly your kids might become restless and need a break. It is a big job and while I can try do squeeze the itinerary checking into an hour (if it's a reasonable one), the planning definitely takes a lot more. It is too much time to be able to afford to spend for FREE - since I, just like everyone else, need to make an income and this business has to pay for itself to keep going. There is consequently the opportunity of the service of planning or checking your itinerary, if you pay, and depending on your exact requirements, situation and the time of the year (meaning depending on how busy I am myself), I am happy to discuss a price if you contact me - thank you for your understanding. If you like this website, let others know about it!